John Raymond Smythies, M.D., F.R.C.P. (1922-2019) was a pre-eminent neuropsychiatrist and neuroscientist who made significant contributions to both these disciplines. Together with Humphry Osmond he developed the first biochemical theory of schizophrenia - the transmethylation hypothesis. This has recently come back into focus following the finding that DNA methylation is abnormal in schizophrenia. He made extensive contributions to knowledge in a number of fields including the neuropharmacology of psychedelic drugs; the functional neuroanatomy of synapses with particular regard to the role of synaptic plasticity, endocytosis and redox factors; the role in the brain of orthoquinone metabolites of catecholamines; and, in particular, theories of brain-consciousness relations. More recently he developed foundational hypotheses and theories specific to the function of exosomes, telocytes and the claustrum, and on epigenetic processes in information processing in the brain. 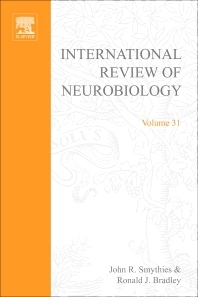 Professor Smythies served as President of the International Society of Psychoneuroendocrinology from 1970-1974, Consultant to the World Health Organization from 1963-1968, and Editor of the International Review of Neurobiology from 1958-1991. He was elected a member of the Athenaeum in 1968. He published over 240 scientific papers and sixteen books. He held the positions of Professor Emeritus and the Charles Byron Ireland Professor of Psychiatric Research at the University of Alabama Medical Center at Birmingham, Visiting Scholar at the Center for Brain and Cognition, University of California San Diego, and Senior Research Fellow at the Institute of Neurology, University College London.